49B Municipal Wharf, Santa Cruz, CA 95060 • (831) 458-9393 Olitas Cantina & Grille is located on the pier. 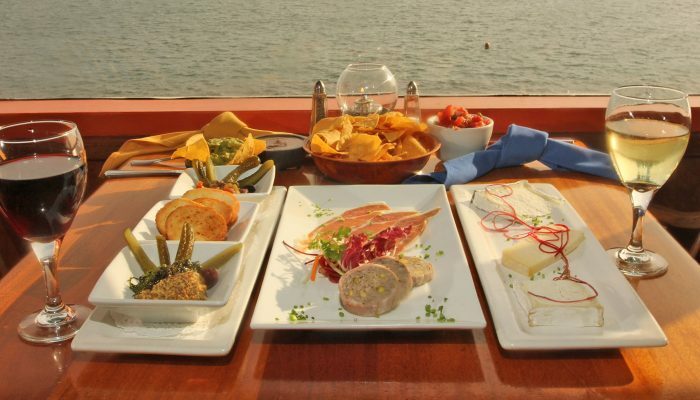 Enjoy the finest Mexican Cuisine on the pier with sweeping views of the Monterey Bay. This local favourite spot for Happy Hour boasts Maine Lobster quesadillas, blackened fish tacos and more. Restaurant & Bar opens at noon. 25 Municipal Wharf, Santa Cruz, CA 95060 • (831) 423-5200 Firefish Grill’s oceanview dining boasts fabulous ocean views from every seat in the restaurant.Enjoy California-cuisine, raditional seafood, steaks and pasta dishes. Celebrating over 30 years on the Santa Cruz Wharf, Firefish Grill features a full bar with specialty drinks and an impressive beer and wine list. Restaurant & Bar opens daily at 11:00 a.m.
37 Municipal Wharf, Santa Cruz, CA 95060 • (831) 423-2010 One of the oldest restaurants on the pier, Gilda’s is owned and operated by the Stagnaro family, the largest fishing fleet on the west coast. Breakfast, lunch and dinner served. Hours of operation, 7:30 a.m. to 9:00 p.m.. The Ideal Bar and Grill is located at the entrance to the Santa Cruz Municipal Wharf. We feature indoor and outdoor dining at its best with a beachfront deck that looks out to Monterey Bay, West Cliff and the Santa Cruz Boardwalk. Ideal also has a full service espresso bar and café. You can enjoy fresh pastries, croissants or house-made muffins that go along superbly with a choice of caffe lattes, cappuccinos or our famous white chocolate mocha. 2218 E. Cliff Drive, Santa Cruz, CA 95062 • (831) 476-4560 Since 1969, the Crow´s Nest Restaurant in Santa Cruz, California has featured award-winning food, spirits and live entertainment from one of the most spectacular waterfront views on the Monterey Bay Marine Sanctuary. Weekday lunches and nightly dinners in our downstairs dining room offer fresh seafood, pasta, midwestern aged beef and daily chef’s specials. 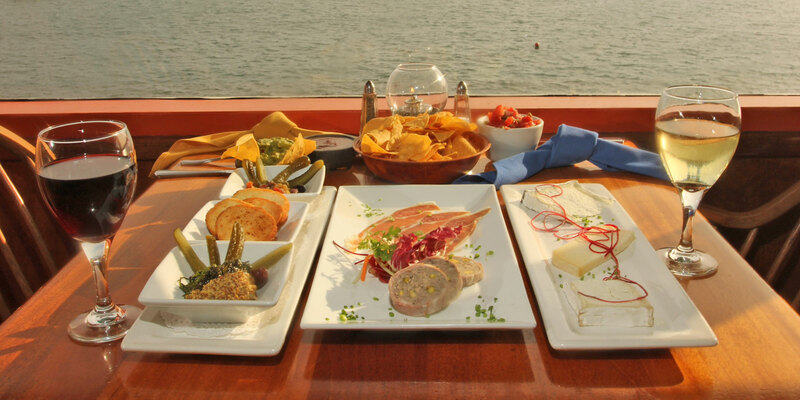 The upstairs Breakwater Bar and Grill offers a variety of appetizers and casual lunches throughout the day.